Monster Trucks? No. Hog Callin'? No. Tractor Pulls? No. World-Class Entertainers? Yes! - Mississippi Believe It! Home » Resources » Campaign » Monster Trucks? No. Hog Callin’? No. Tractor Pulls? No. World-Class Entertainers? Yes! What’s our idea of fun in Mississippi? It’s not what you think. 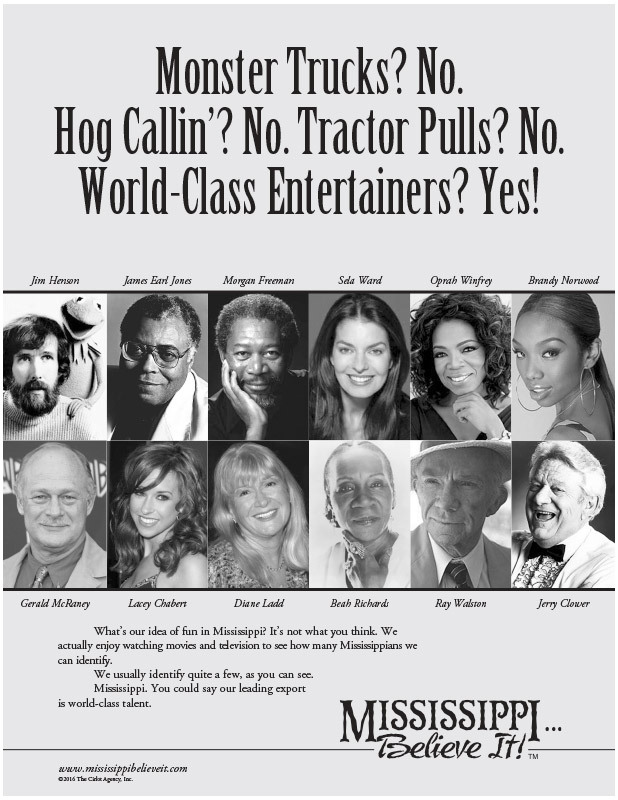 We actually enjoy watching movies and television to see how many Mississippians we can identify. We usually identify quite a few, as you can see. Mississippi. You could say our leading export is world-class talent.